Our research and development projects are co-financed by the European Union. Priority axis 2 Supporting the environment and the potential of enterprises to conduct R&D & I activities measure 2.3 Pro-innovative services for enterprises, Sub-measure 2.3.4 Protection of industrial property. Obtaining patent protection for solutions allowing for the market introduction of innovative technology of bacterial identification with the use of the properties of the laser diffraction phenomenon. Priority axis. Support for conducting R&D works by enterprises. Operation R&D projects of enterprises. Sub-measure – Industrial research and development carried out by enterprises. The development of bacterial identification and susceptibility testing technology based on the phenomenon of laser diffraction and analysis of morphological features of bacterial colonies. Smart Growth Operational Programme 2014-2020 III Priority axis: Support for innovations in enterprises 3.3. Support for promotion and internationalization of innovative enterprises, 3.1.5. Support for SMEs in accessing the capital market – 4 Stock. The effect of the project implementation will be obtaining financing enabling us to carry out necessary R & D works and implementing a new solution on the market. 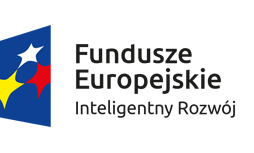 Increasing the scale of commercialization of the results of scientific research or development works of Polish companies on global markets. Preparation of commercialization of innovative technology – bacterial identification by means of laser diffraction on the German market. Bioavlee’s team of scientists and managers is actively supported by a group of outstanding, internationally appreciated experts. Their presence gives us the confidence that our direction in following new solutions in biotechnology is the right one. Audit of the Company’s financial report for 2017 necessary to obtain external equity financing on the NewConnect market. Preparation of documentation and analyzes necessary to obtain external equity financing on the NewConnect market. Conducting of electromagnetic compatibility tests of the device for bacterial identification with the use of the properties of the laser diffraction phenomenon. Deadline for offer submission: 01.03.2017, at 12.00 p.m. Deadline for offer submission: 03.02.2017, at 12.00 p.m. Deadline for offer submission: 12.12.2016, at 12.00 p.m.
Providing consultancy services in the process of development and verification of commercialization strategies of the innovative bacteria identification technology on the German market. Deadline for offer submission: 19.07.2016, at 16.00 p.m. Performing microbiological tests – preliminary microbiological identification of the acquired bacterial field strains in terms of their type and species by means of biochemical tests and determining the susceptibility of each pathogen as part of the project: “Development of the technology for identification and marking of susceptibility of bacteria based on the phenomenon of laser diffraction and analysis of morphological features of bacterial colonies”. Deadline for offer submission: 30.06.2016, at 12.00 p.m.